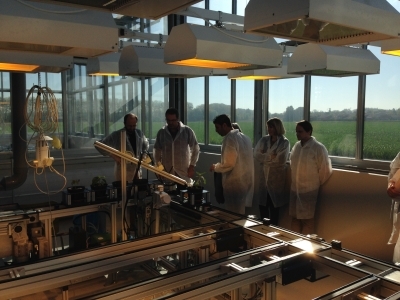 The platform TPMP provides automated, high-throughput phenotyping in controlled conditions for different plant species and their associated microorganisms. The equipment has been specially designed and adapted to the scientific questions of our community, particularly for studies on plants and their interactions with the biotic and abiotic environment. It is therefore quite unique in France and is dedicated to a broad scientific community from the academic or private sector. Manage and treat mass data and generate new knowledge in the domain of plant science, particularly in relation to interaction with microorganisms and the environment.